Seen here first at Retrobok and on no other sneaker sites yet, here’s a brand new set of 6 x GL 6000 colourways over on Reebok Koreas’ official store. With a few of these utilising the LX 8500 Retro‘s detailing such as the vintaged sidestripes and heel tab, it’s the first striking White/Red/Blue pair with the yellowed midsole that really gets my attention – very striking, and reminiscent (though not quite as similiar as first appears) of the legendary PB. If anybody at Reebok Korea can help me get hold of a pair of those I’d be incredibly grateful. Forgetting to check the Reebok Korea website once a day is usually a mistake! 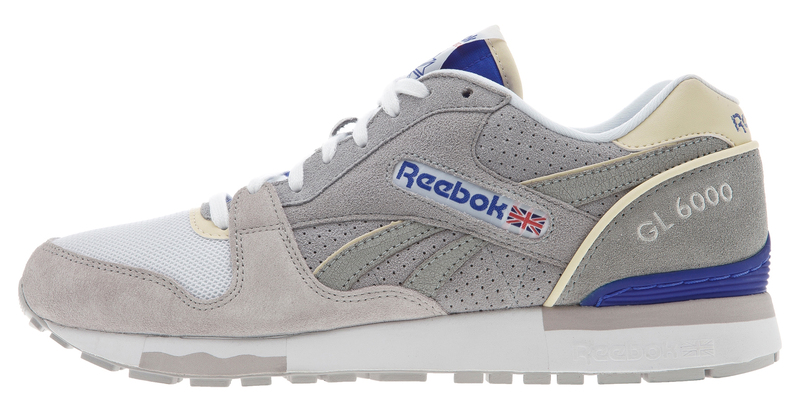 And here we have, a further 2 colourways in Grey/Reebok Red/White and Black/Raspberry/White. The latter reminds me strongly of an early 2009 colourway in Burgundy, which I’ve always felt was one of the best new 6000 colour makeups. The big news here is that this — by my count — brings the post-2009 retro close to 50 colourways. GL 6000 — Korea — 2 x more! Comments Off on GL 6000 — Korea — 2 x more! GL 6000 – 2 more in Korea! Comments Off on GL 6000 – 2 more in Korea! GL 6000 x 6000 ?? Comments Off on GL 6000 x 6000 ? ?